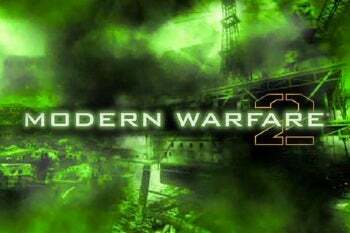 Holy cut-and-paste press releases it's a slow news week, so how about this one from Activision that Call of Duty: Modern Warfare 2 has broken--wait for it--another record! That's right, the game that keeps on giving--be it content controversy, sales plaudits, or reciprocating lawsuits--can add another trophy to its bulging display case. Guinness World Records just stamped Modern Warfare 2 "the most successful entertainment launch of all-time." The former record holder? Rockstar's Grand Theft Auto IV, which topped $500 million worldwide in its first sales week. Modern Warfare 2, by contrast, pulled a cool $401 million worldwide in its first 24 hours of release. Compare with GTA IV's $310 million or Halo 3's $170 million during their respective first day sales windows. No wonder everyone's a bit prickly about series developer Infinity Ward's recent unanticipated attrition. "Video game releases such as the Call of Duty series have outperformed the launches of major Hollywood blockbusters for several years and the day-one sales for Call of Duty: Modern Warfare 2 proved once again that video games have become cultural events in their own right," said Guinness World Records Gamer's Edition Editor Gaz Deaves in the press release. "The fan movement and hype surrounding this game in the run-up to launch was almost unprecedented in scale; we acknowledged early on that the big question wasn't if it would break all-time entertainment records, but rather by how much." "This achievement is a reflection of the support from our community of fans around the world," said Creative Strategist, Robert Bowling from developer Infinity Ward. "The Call of Duty series and Modern Warfare have been our passion - we've dedicated our lives to giving our best, so it's an honour to be recognised by setting a new standard among all entertainment properties." The sales figures used were based on Activision's internal estimates as of March 1, 2010.